For all the benefits possible through virtualization projects, many server virtualization projects have been discontinued when organizations run into challenges. Most organizations rarely are able to virtualize more than 20% of their IT infrastructures due to problems mapping, diagnosing and troubleshooting storage devices. 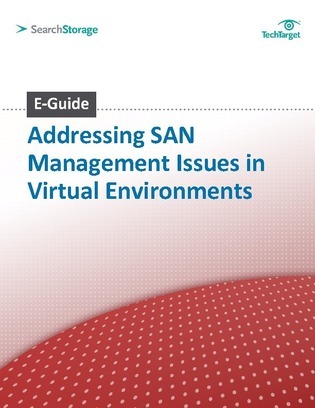 This expert SearchStorage.com E-Guide provides insight into warning signs of SAN management problems-to-come so you can catch them before they manifest in your virtual environment. Check it out to learn how your peers are responding to these pain points.